Mooncakes constitute an essential part of Mid-Autumn Festival... traditionally and widely celebrated by Chinese during the 15th day of the 8th Lunar Month. It is one of the highlights of the Chinese Calendar and for this year, it falls on 24 September 2018. Albeit more than a month away from now, the preparation for the moon-gazing event is on-going. If you are obsessed with this round, sweet pastry only available this festival season; check out Hotel Jen Penang's Mooncakes. The hotel rolls out an array of Mooncakes available in both classic-traditional and new-exciting flavors (8 flavors in total) to cater to all age-groups. 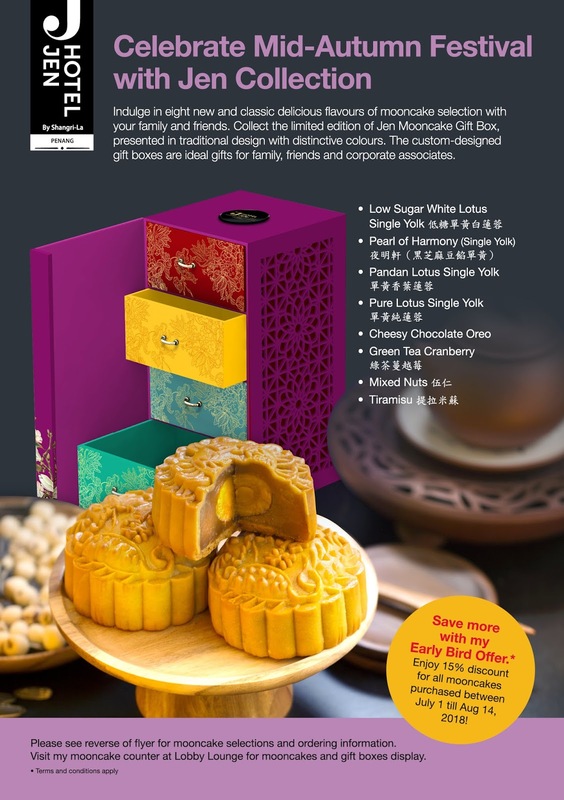 One of the main pulling points for their Mooncakes is the charmingly designed Jen Mooncake Gift Box.... beautifully decorated with elegant floral outline in modern, striking colors.... making it a great choice for either family, friends or even business associates. 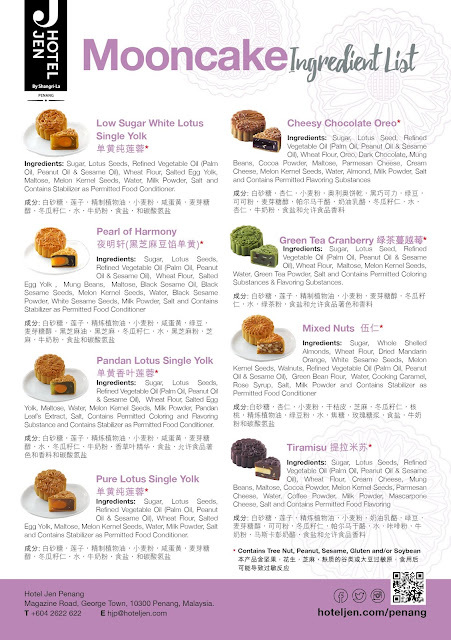 The Mooncakes are available from 1 July 2018 to 24 September 2018. 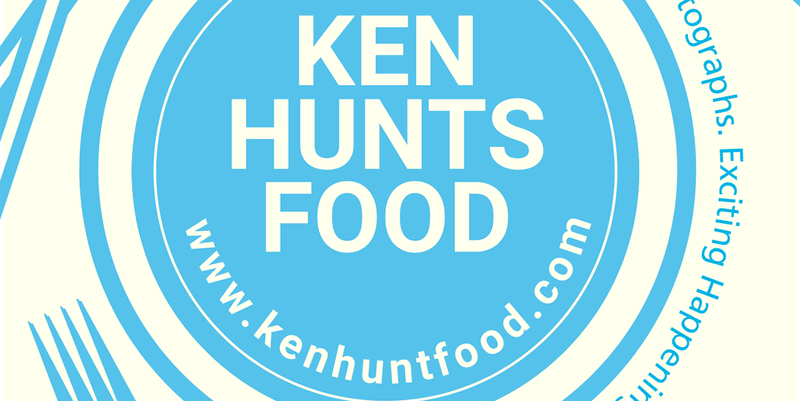 Many Thanks to Hotel Jen Penang for sharing the festive joy with Ken Hunts Food. 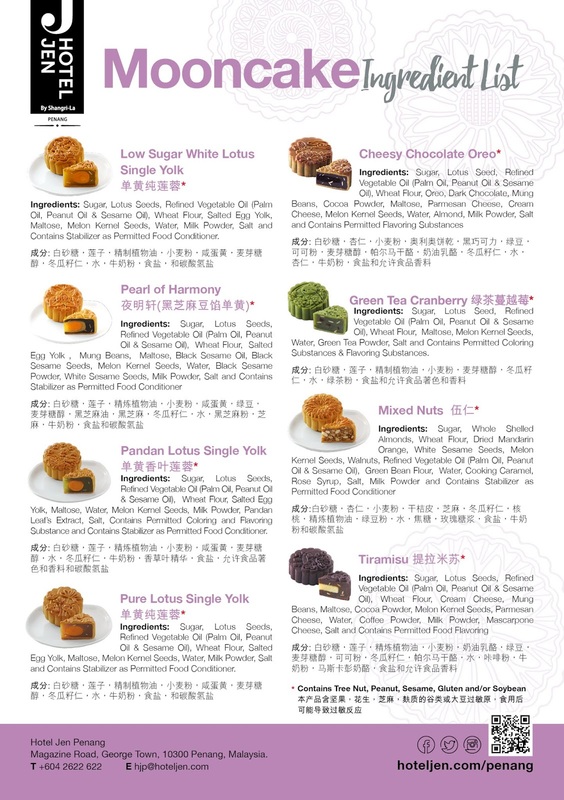 Each box of the Mooncakes (of 4 pieces) is priced at RM 145 nett while individual Mooncake is selling at RM 38 nett (per piece). 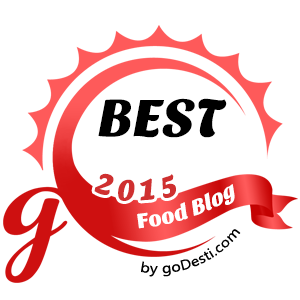 Address: Magazine Road, 10300, Georgetown, Penang.